The Rotary International Day Parade is an annual event organized and supported by the Port Huron Rotary Club with additional financial support from various local sponsors. 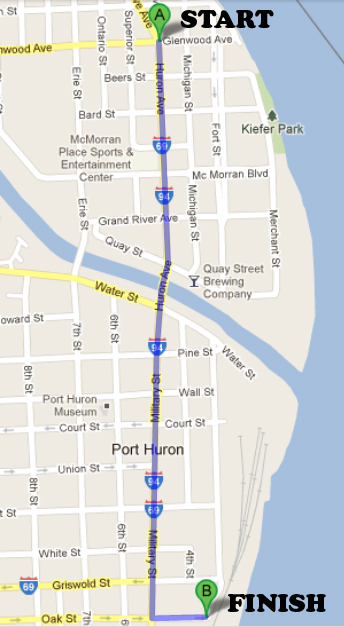 The 2019 Rotary International Day Parade is in it's 99th year as a result of the support from the Port Huron community. This year's theme is "SPACE". Click HERE to open a map image of the route. Staging will be on Pine Grove Avenue between Erie Street and Glenwood. Check in will be at Erie Street. Browse the menu links above for additional information regarding Rules, Awards and the Application page where you can complete and submit the online application or download a copy of the PDF version of the application to complete and mail in. For further information, call the Parade HotLine at (810) 985-7101. Messages will be retrieved on a weekly basis.